Over these past 4 years I've spent my fair share of time in hospital, both for stays and appointments, and over time I've developed a sort of 'hospital survival' list, things to keep me entertained and comfortable. 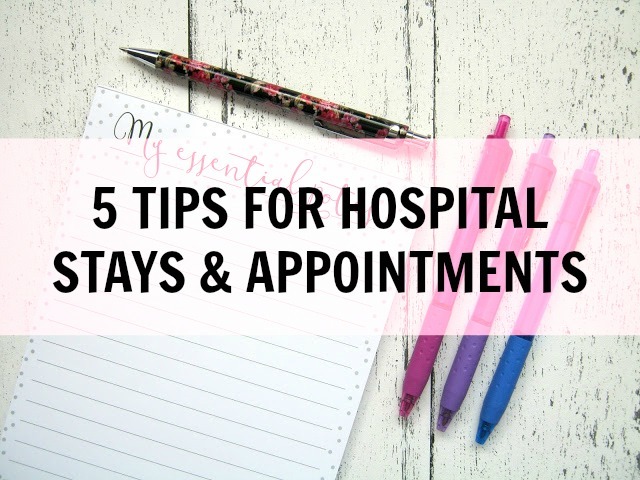 I think we've all spent some time in hospital, bored out of our minds when our appointment is running late or visiting times is over so it's so important to do what you can to keep yourself occupied so, here are five of my tips! Sometimes hospital appointments run late and if you're staying in hospital for a while then you're even more prone to becoming bored as often you can't always have someone at your bedside to chat to so top of my list is always bring things to keep yourself entertained. For appointments I'll often bring a book, I always have my phone on me but I find that the signal in most hospitals is pretty poor so I always have something non-electronic to fall back on. In waiting rooms I've also seen people knit, crochet, read magazines and do work on their laptops so just go with whatever works for you! 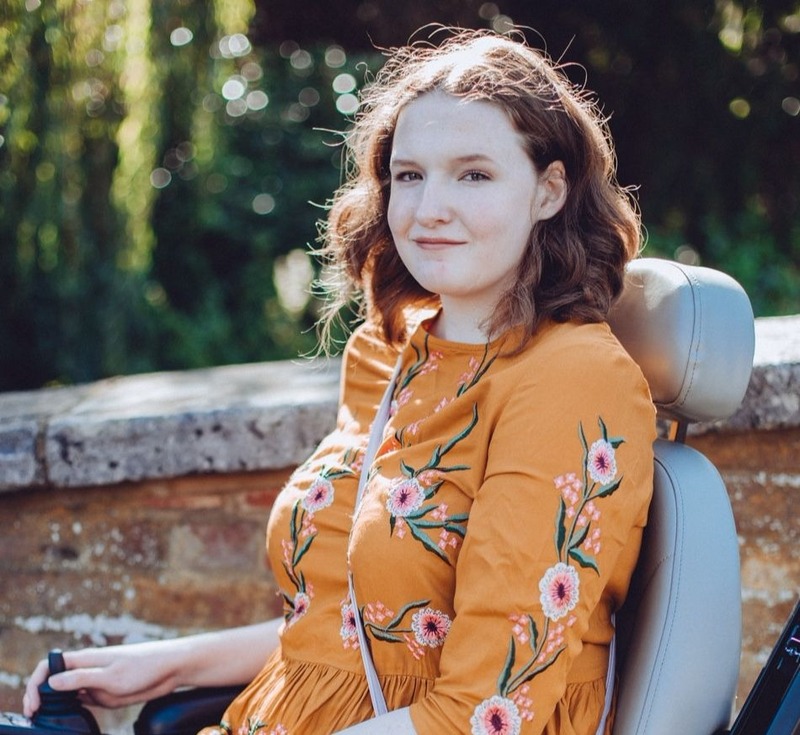 A few years back I had pretty major spinal surgery which left me reliant on other people for quite a while, whilst I was in hospital following the surgery it was mainly nurses and HCA's helping me out until I went home. I needed help to turn in bed and I had to wash in bed as well for about a week and there was one particular healthcare assistant who was helping me and she was very rough with me. I'd just had major spinal surgery, having metalwork put all down my spine, and she tossed me around so roughly that it left me close to tears. It was only a minor incident but it definitely taught me to speak up if something isn't right, always go with your gut feeling. If it's serious then don't feel ashamed to take it to someone like Slater & Gordon, medical compensation solicitors in London. I think a lot of people would probably feel bad questioning an NHS problem as the healthcare is 'free' but if something isn't right or something goes badly wrong then everyone has the right to question it. This tip is more tailored towards hospital stays but sometimes appointments can turn into a whole day thing so keeping hydrated and fed in both scenarios is super important. Hospital food is well known for not being great and whilst I've often been surprised it's always good to bring some of your own food just in case. Also, when I've been in hospital following surgery it can take a while to get my appetite back and often the food I want when I am hungry are my favourite snacks, not a full roast from the hospital's food menu. I ate a lot of fruit after my surgeries, sugary snacks too to try and get my energy up so if you're in hospital for surgery keep that in mind. Comfort is key for hospital stays, especially if you're having surgery. All of my surgeries have been on my bones so being comfortable was always at the top of my priority list and sometimes what the hospital provides just isn't enough. The blanket's aren't that great for keeping warm and it's just nice to have something familiar from home during hospital stays I think. When staying in hospital or attending an appointment you'll often be asked to bring your medication, or a list of your medication, and you'll also often need to bring your hospital letter and other important documents. Sometimes such documents are vital for the hospital stay or appointment to go to plan so always leave yourself a reminder to pack such things. For things like scans you quite often need to fill out a form and for my appointments a medication list is always requested, it can be so easy to forget these things so I find leaving myself a reminder an hour before I need to leave for the appointment is a good way to make sure I don't forget them! I'd love to hear your tips for hospital stays and appointments, leave them in the comments below! I have never stayed over at a hospital before but I have a family member who does on a regular basis so I will definitely pass on your tips to them!